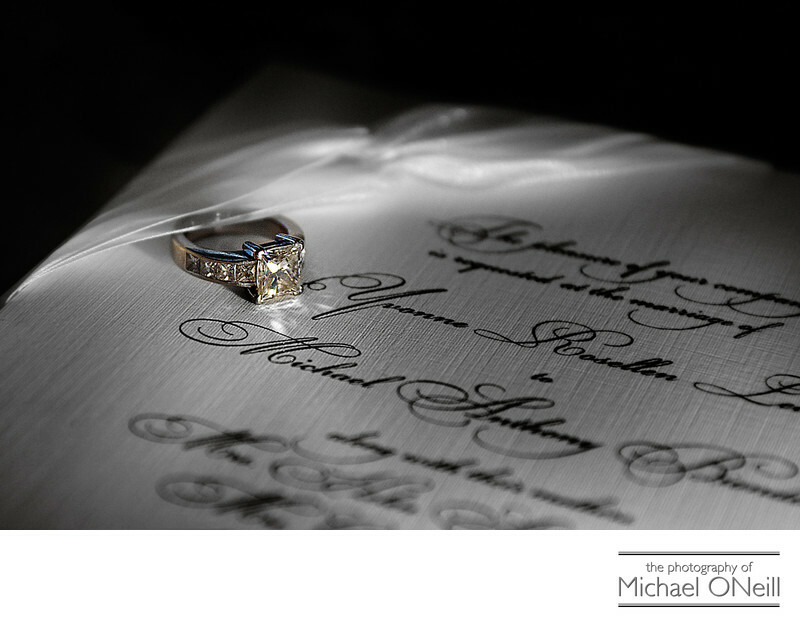 Love this close up detail shot of the bride’s exquisite engagement ring lying on top of her wedding invitation. As a bride and groom you will spend a lot of time, energy and money on all the little details that make up the essence of your wedding celebration. On your wedding day I will be sure to capture every one of those details. The bride’s shoes, the details of her wedding gown, the brides’s bouquet and her bridesmaids flowers, the gifts to your bridesmaids and groomsmen, the place cards, wedding cake, linens, menus, favors & floral centerpieces in your dining room; the adorable outfits being worn by your flower girl and ring bearer, the limousines...the list is endless and I will do my best to create wonderful wedding pictures of all of the little details for a lifetime of memories. Give me a call at my East Northport, Suffolk County, Long Island, New York wedding photography studio to discuss all the details of your wedding.